Wally Klein at his feedlot on Orange Creek, 100km south of Alice Springs. 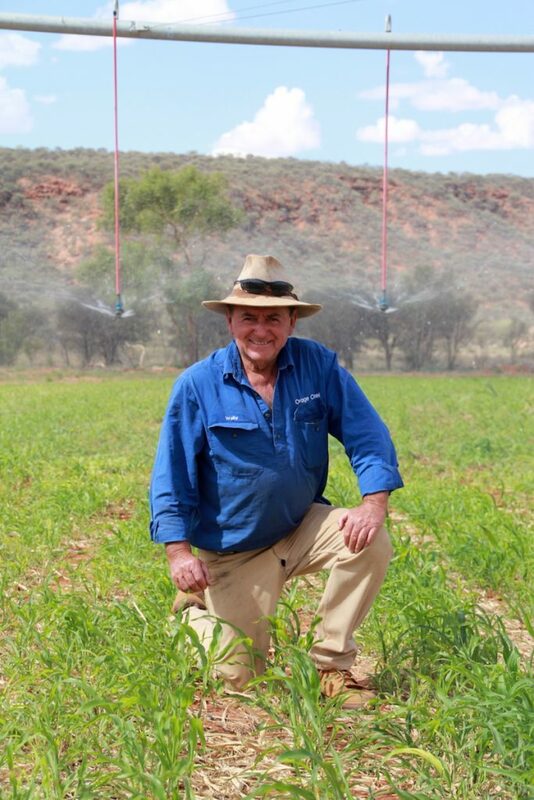 ACCESS to groundwater has helped Red Centre cattle producer Wally Klein create a small oasis of diversity on his vast 2400 square kilometre freehold grazing property Orange Creek, 90km south of Alice Springs. The property operates a feedlot with the capacity to feed 2000 weaners, fed primarily from forage sorghum and lucerne grown on 50 hectares of cropping land watered by two centre pivots. The irrigation plots have also successfully grown potatoes and wheat, while the farm also waters 1000 orange trees. 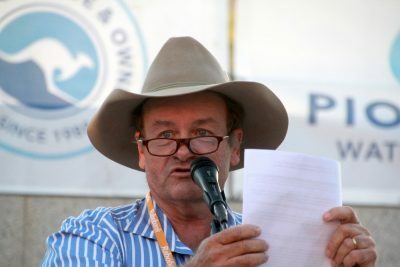 Mr Klein has visions to build an on-farm slaughterhouse supplying locally produced, “beautifully flavoured” Centralian beef to local road houses and hotels, and says there is no reason why there shouldn’t be an abattoir at Alice Springs, helping to supply branded, organic red centre beef to consumers across Australia and around the world. “The opportunity here is unbelievable,” he says. It may be one of the driest areas of Australia, with an annual rainfall average of 285mm or 11.5 inches, but Alice Springs sits above a groundwater resource that in Mr Klein’s view is significantly underutilised. 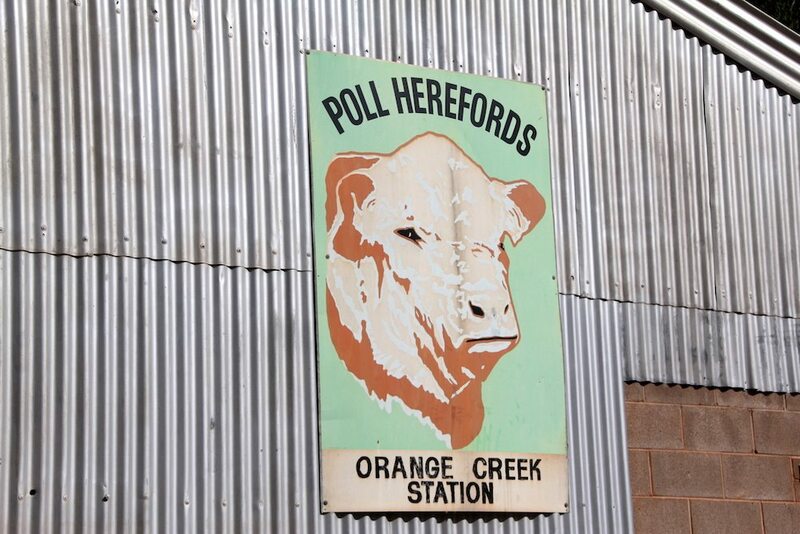 Because of the property’s freehold tenure, Orange Creek has been able to irrigate since the 1980s from a bore that was sunk during the construction of the neighbouring Stuart Highway some 40 years ago. Mr Klein currently has a license to draw 1000 megalitres per year from the bore and three years ago lodged an application with the NT Government to increase his annual allocation to 3000 megalitres. He said he has been told by the NT Government that not enough is known about how much water lies below, and that it has concerns about the water table falling. But he said that was not the experience at Orange Creek. “It is not getting lower here,” he said. 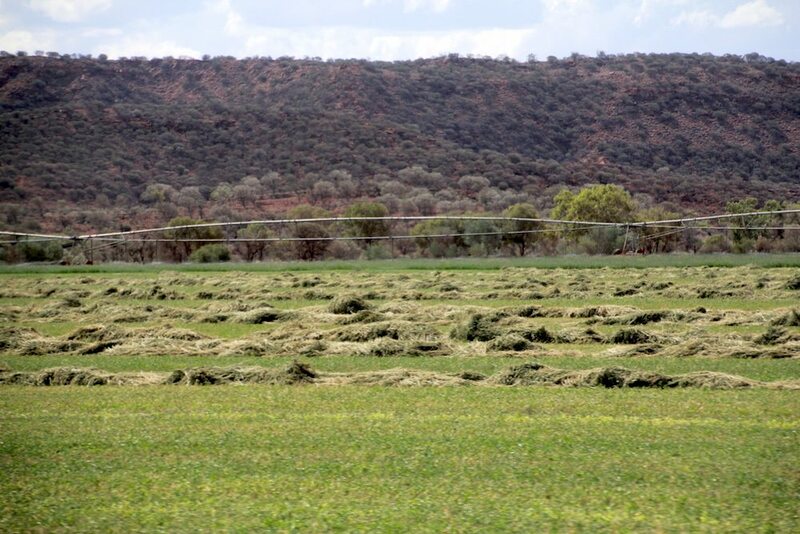 In the past four months one 20ha plot has produced 370 tonnes of hay, Mr Klein said. In his view the “sky is the limit” for development potential. 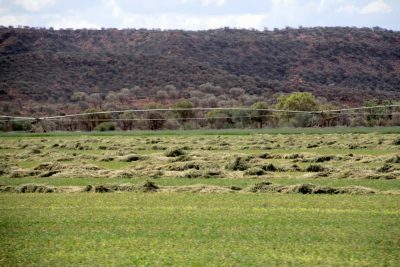 He estimates there are about seven centre pivots currently irrigating in the Alice Springs region and believes the system has the capacity to handle many more. “There is still so much opportunity here, but I am running out of time,” he said. “The government is dragging the chain. They need to tell us if they want to develop or not. It is nearly three years. We need decisions now, not in another three years time. Outgoing NTCA president Tom Stockwell. Improving access to water was also a central theme of an address by outgoing pesident Tom Stockwell to the recent Northern Territory Cattleman’s Association annual conference in Alice Springs. Despite an abundance of water in the Top End, where an average of one metre of rain falls each year, the Northern Territory Government was “legislating water into a scarce resource”, Mr Stockwell said. “Through environmental and indigenous reserves and an inability or unwillingness to harness the wet season flood flows, (NT Water Act) policy has turned water in the Top End into a scarce resource, creating a market for middlemen to trade,” Mr Stockwell said. “A back of the envelope calculation for the Top End Monsoonal zone suggests a quantum of about 400 million megalitres, falling over the wet season – equivalent to about 40 Ord Dams or 720 Sydney Harbours. “Surely we can have water as a competitive advantage rather than a scarce tradable commodity? 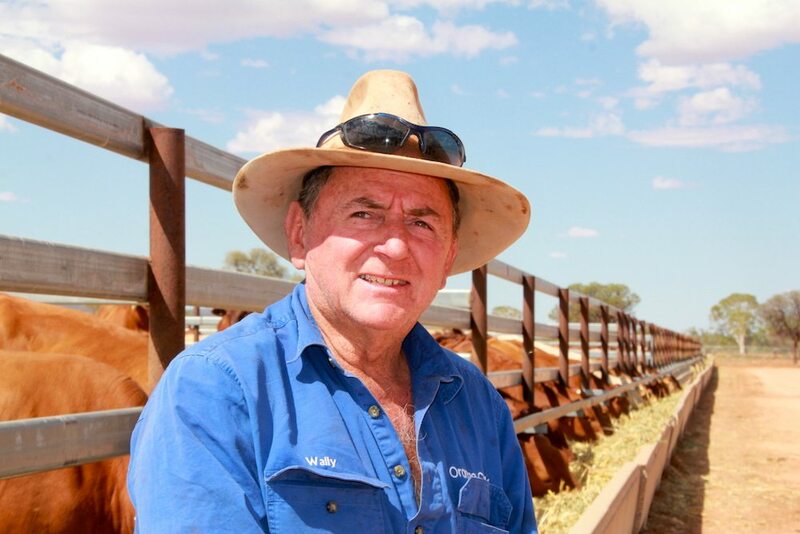 Mr Klein said the 2400 square kilometre Orange Creek can run 6000 breeders, but very dry conditions in 2017 prompted him to sell down his herd to 4000 cows, enabling him to take advantage of the strong cattle market at the time. Most cattle on Orange Creek are fed through to market weights on grass and sold to Naracoorte abattoir in South Australia. The majestic multi-coloured ranges that intersperse the property not only provide a spectacular backdrop but also a very handy natural watershed for grass paddocks. “They’re like a big roof, a lot of water runs off these hills,” he said. 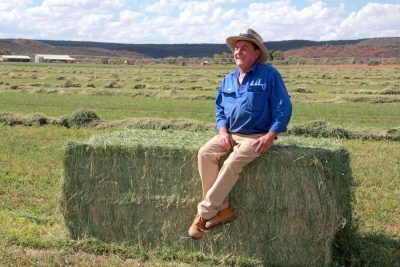 Mr Klein said steers in a recent Alice Springs grazing trial – which was won by a Brangus steer from Orange Creek – grew from 200kg to 600kg on natural grasses in two years, proving the ability of the country to finish cattle. The development of a feedlot last year has also given Mr Klein greater management and market access options. 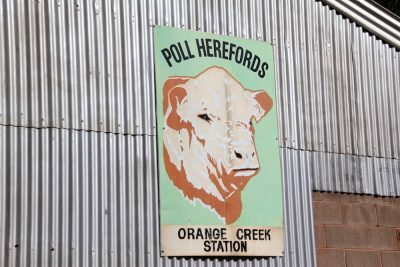 Poll Herefords are the breed mainstay on Orange Creek, as they continue to be on many Centralian breeding properties. 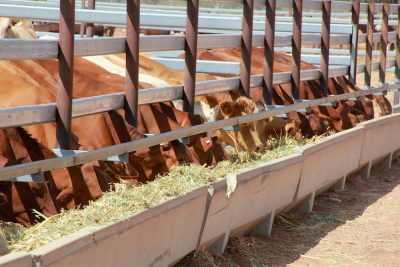 The feedlot enables weaners to be taken off cows earlier, which helps the mothers to recover and recycle to get back in calf more quickly. Weaners are fed forage grown on the property and, depending on the end-market, grain pellets bought from South Australia. They can go for export to Indonesia or Vietnam or back onto grass, depending on the market circumstances at the time. Mr Klein also buys in weaners for the feedlot, and was feeding a mob of Brahman cross heifers bought from Huckita on the Plenty Highway at the time of our visit during the NTCA conference in late March. Mr Klein said he has “great visions” of what he would like to do next at Orange Creek. 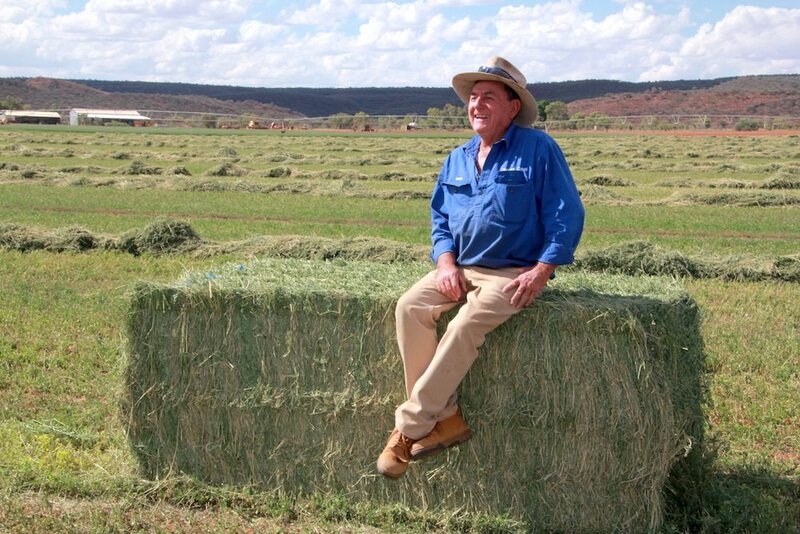 “Put in some more centre pivots, feed more weaners, and that also means I can run more cattle in the bush,” he said. “I’d also like to have a small abattoir on site, just providing local Alice Springs roadhouses and some of the nice restaurants, because our Centralian meat has got a fantastic flavour. “Some of my friend and neighbours would like to get cattle killed here as well so we can go paddock to plate, Centralian Beef – beautiful flavoured meat. “Even when we get a really dry year I can go out into the bush and get a fat cow, a fat killer, it is beautiful meat. “We would also like to go organic. People want to eat good food. But those goals could only be achieved with access to more water, he said. “Two pivots is not enough, we still need to buy two more, we still need to buy extra hay in from the south. “Someone from the Government came down here and said if we give you an extra 3000 megs, that is a lot of water, are you sure you are going to be able to use that?